The Army Baseball Room (ABR) Project was financially and vocally supported by over 150 former Army baseball players, coaches, and families. The ABR consists of a 3-room suite, #201, off the mezzanine in The Thayer Hotel. 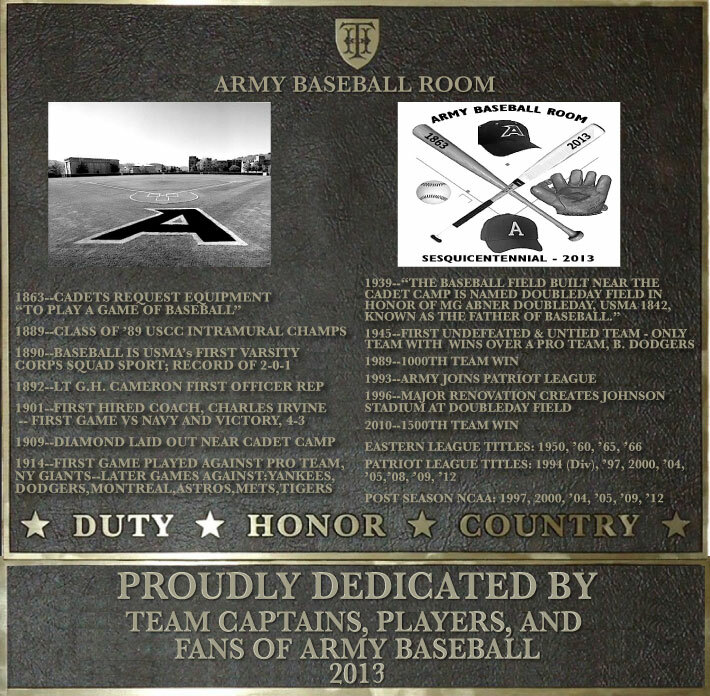 The ABR has been decorated with fitting memorabilia to commemorate the unique history of Army baseball at West Point since the game was first played there in 1863. Photos and collages include coaches, notable teams and players, major leaguers with cadets, old and new caps, autographed historic baseballs, and a memorial for Army players who died in combat or as a POW. More are being added to make this room a living tribute. The original ABR Committee included former players from '59, '60, '70, '83, '89, and '98. "